Used lubricant oil contains harmful compounds and carcinogens and one litre of used oil can contaminate one million litres of water. Because of this, used oil – which is a common by-product of mechanised processes in all industry sectors – is classified as a hazardous waste and is strictly governed by environmental laws and more specifically the requirements of the Waste Act. Four car oil changes a day, or one truck oil change per day, will require registration as a generator of Hazardous waste. In short if you get in excess of 20kg of used oil per day, you are required to register on the South African Waste Information System (SAWIS). (d) The quantity of waste reported in tons. As used oil is a hazardous waste, generators are required to maintain the below information on a Hazardous Waste Manifest, a document that will track the used oil from cradle to grave and offer a clear snapshot on how it has been managed. The intended receiver (waste manager). Used oil finds its way into our water table through disposal in drains and storm water drains and by being poured directly onto the ground as either a dust suppressant or as a means of disposal. To prevent this, drain oil into a clean container with a tight-fitting lid, such as a reusable combination drain pan/storage container. Use a specially designed plastic Sumpy or container to collect and store your used oil. Keep these containers in a place that can be accessed by a ROSE registered used oil collector and keep the surrounding area clear and clean. Ideally store them under cover and away from heat or sources of ignition. Very small volumes of used oil can be dropped off at most vehicle service centres, as they have used oil storage facilities on their premises. Keep oil change pans free of water and ensure your storage containers are tightly sealed and covered to protect them from rain water. Oil that is contaminated with water is far more difficult to recycle – requiring several laborious and costly processes to separate the water from the oil before it can be recycled. 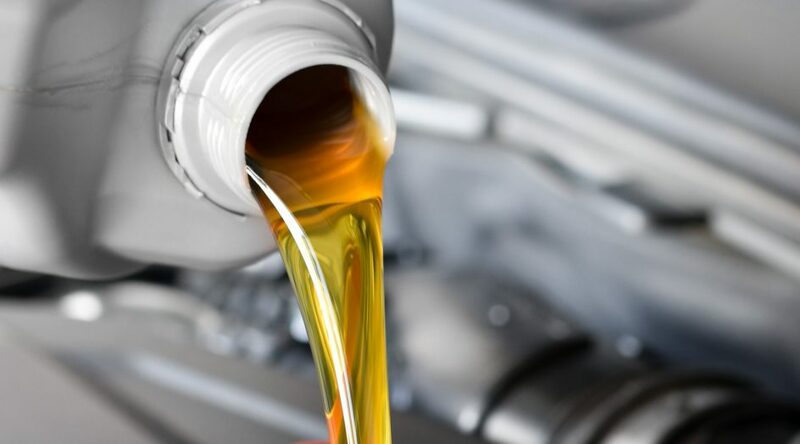 Ensure that you do not mix used oil with other fluids such as antifreeze, transmission fluid, petrol, diesel etc. Mixing them may make them non-recyclable as well as very hazardous and flammable. Build a bund wall around your bulk used oil storage tanks so that in the event of a spill or leak, the used oil will be contained. In the event of an oil spill, contact your used oil collector. Used oil generators are urged to gather and store their used oil for responsible collection by a ROSE registered oil collector who will come and remove the oil and take it to be recycled in an environmentally compliant and safe manner. Your collector must always issue you with a safe disposal certificate which is now required by law under the Waste Act. This safe disposal certificate issued by ROSE registered collectors also acts as a Hazardous Waste Manifest, thereby fulfilling the requirements of reporting by law, the same information can be used on SAWIS. For more information and to find out about a registered used oil collector contact the ROSE Foundation on (021) 448 7492 or visit www.rosefoundation.org.za.